I am a single and stay at home mom to two wild toddlers. I am most passionate about family photography, capturing emotions, fun and joy during our sessions, as well as in the wild. 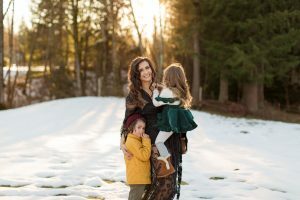 My days are usually spent hiking with my kids or with the Adventure Mamas Initiative, where I am a Regional Coordinator for the PNW and photographer. You will almost always find me outside. I am honored you’d visit my page and am so grateful you would consider me to photograph your family!